As simple to use as the paper lamps from the same series. 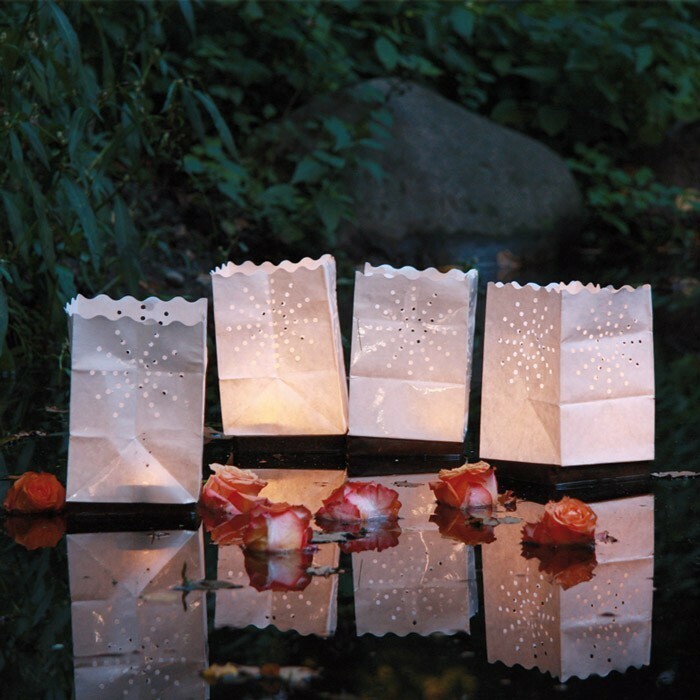 All you have to do is unfold the lantern, put in a tea light candle, light it, and toss the candle lantern in your pool, bathtub, or a lake or sea. If you experiment with tossing it into the sea, because you are a fan of midnight swims and beach parties, please don't lose them or let them drown in the ocean. Retrieve them so you can recycle them (after several uses) in the appropriate bin. With paper lamps that you can place on a flat surface, hanging paper lanterns, and aquatic lanterns, you now have a complete range of lighting options for your party (birthday, marriage, product launch, pow wow with your friends, 4th of July, etc..). These luminous boxes will make you immune to any decorating gaffs; they match any style and any theme. multiple uses: used in calm waters, you can reuse your floating lantern, unlike floating candles, which burn up quickly. 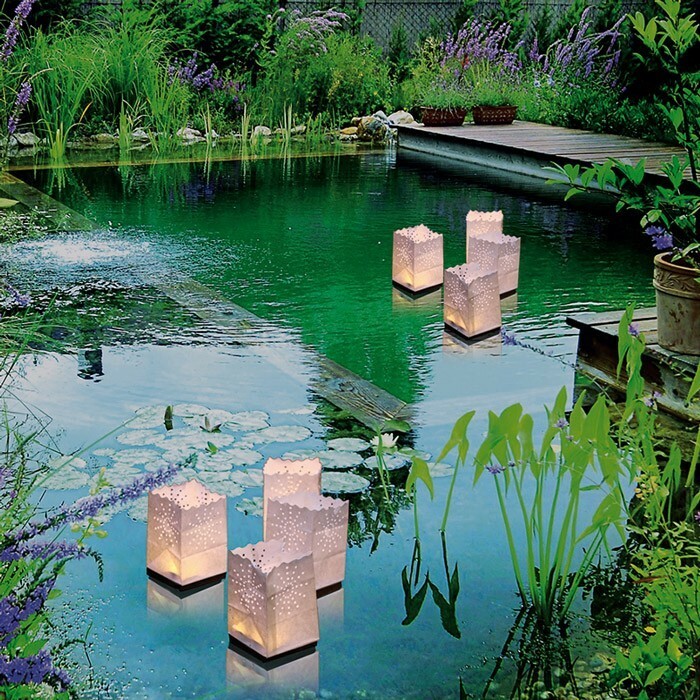 a lighting decor ensemble: these aquatic lanterns can be matched with regular paper lanterns as well as hanging paper lanterns. 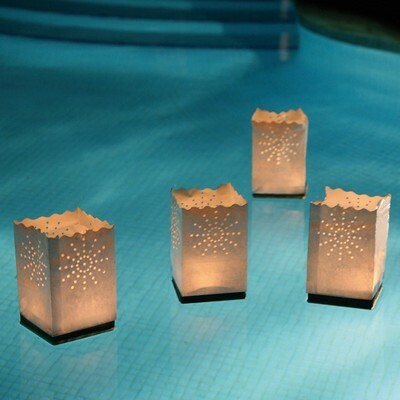 Thus, you have an entire paper lantern lighting system with which you can create a magnificent and luminous ambiance. simple: These candle holder decorations are simply lovely, without frills, wires, printing, switches, plastic, or silicone. Paper and nothing but, for a chic, clean look.